Starting 2016, we have seen more interesting announce 4G scheme with healthy competition telecom and network industry. Every company gets more reliable and cost efficient plan provide for the customers. Recently announce Mukesh Ambani announce cheapest 4G plan in India and reliance is trusted brands and more valuable service provider company in India. In healthy competition RJio get win with major market cover in 4G services. In this announce after major Indian telecommunication market trend to lose and big challenge to provide more cost efficiency compare of RJio. 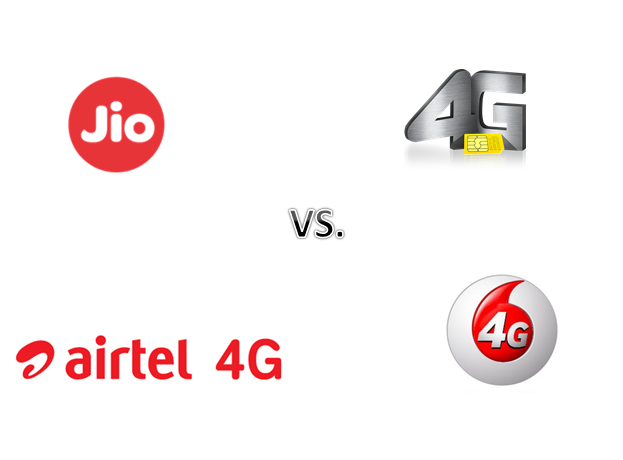 Here talk about some 4G service company name like as Airtel, Idea Cellular, RJio, Reliance communications, Tata Docomo and Vodafone. Here now every company plans available so you can choose easily in your budget. Compare of all data plan says RJio is best one and every suitable and cost efficient plan in market.